Drive the robot to the numbered circles on the mat (doesn’t have to be sequential), and then use a servo to touch the circles to sum of 20 or more points. Students can arrive anytime in the 9-12 window to work on the challenges to earn “Button” Badges: → You Can Take the BotBall Challenge without missing Your Saturday Team Sports & Other Extra-Curricula Weekend activities! 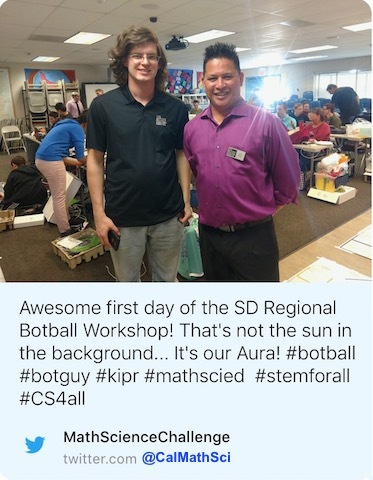 CA Math & Science Challenge, Inc.